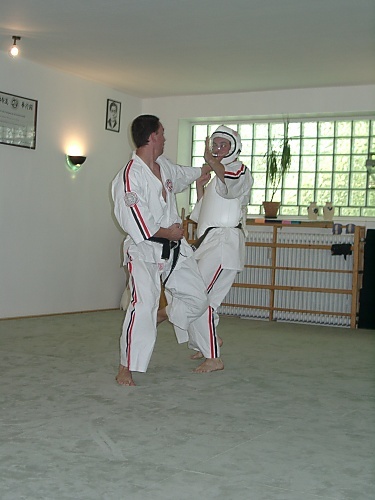 The Shindo Dojo is the oldest Dojo in Germany to teach Shorinjiryu Kenkokan Karatedo in Germany of the Hombu-Dojo of Masayuki Kukan Hisataka in Tokyo, Japan. It is one of the few Dojos worldwide which teach classical and authentic Shorinjiryu Kenkokan Karatedo. Shorinjiryu Kenkokan Karatedo was founded by Shinan Kori Hisataka (1907-1988) shortly after World War II. In the course of the years Shinan Kori Hisataka developed a systematic and scientifically justified form of Karatedo. This further development complied with his goal of perfecting the individual person’s spirit and body. While studying different martial arts he became accustomed to the strengths and weaknesses of the individual styles. 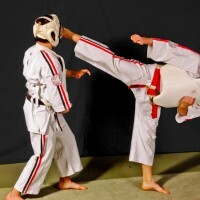 Consequently he developed a new style by eliminating unpractical and useless techniques and finally emerged with a form of Karatedo that measured up to his high standards. Both the development and the name of Shorinjiryu Kenkokan Karatedo were strongly influenced by Okinawan Shorinjiryu Karatedo (tode), Chinese Shorinji Kempo and Ryukyu Kudaka Jima Shishiryu Bo Jutsu as well as Kudakaryu Karate Jutsu. In basic kicking techniques he emphasized the use of the heel instead of the toes, thus taking advantage of the naturally stronger part of the foot. Punching techniques are executed with a vertical fist (tate ken) as in this way the wrist is in a stronger position. He introduced one of the major training forms in Shorinjiryu Kenkokan Karatedo, the Yakusoku Kumite, prearranged fighting drills, in which two or more Karateka practise a sequence of prearranged offensive and defensive techniques. 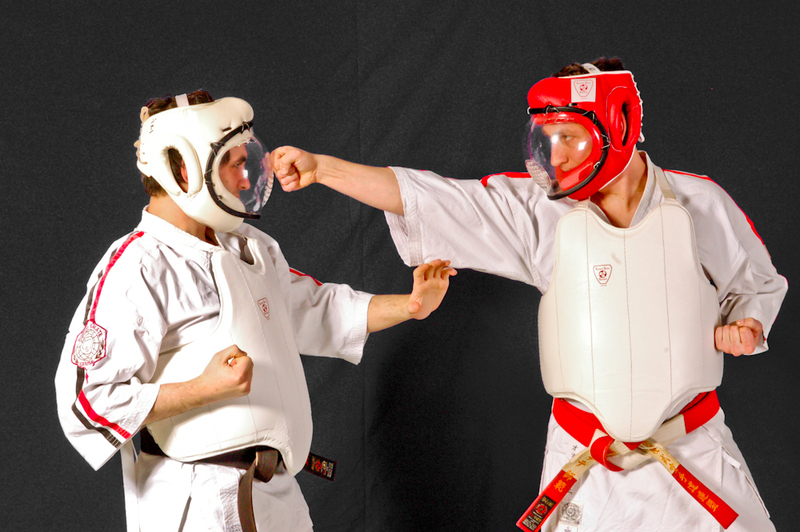 In order to train effective fighting techniques he would let his students practise with protective equipment (bogu). Based on this, his son Masayuki Kukan Hisataka later developed the competition system of Koshiki Karatedo. 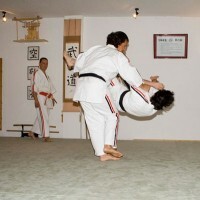 A further area of emphasis is the teaching of weapons techniques and is an essential und inseparable part of Shorinjiryu Kenkokan Karatedo. Nowadays the true values of Budo are more and more losing their importance. Either too much emphasis is laid on forms or people train for competition only. 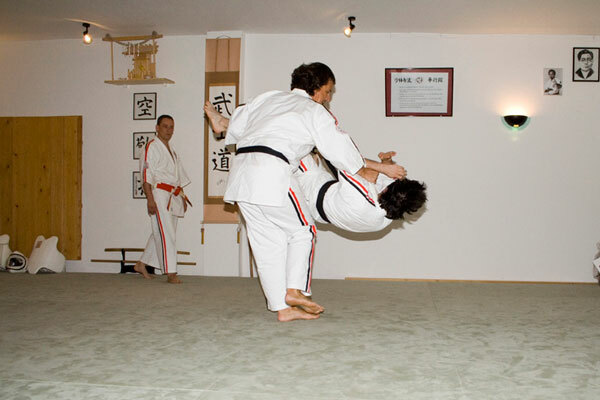 The aim of the Kenkokan school is teaching extensive knowledge both in karate-ho and buki-ho. 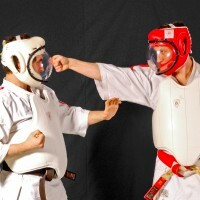 Nage-waze (throwing techniques) and katame-waza (holding techniques) therefore also make for an integrated part of the education. At the same time training forms a strong character in the student as well as it yields energies, politeness and courage – always aiming at perfecting the individual self. 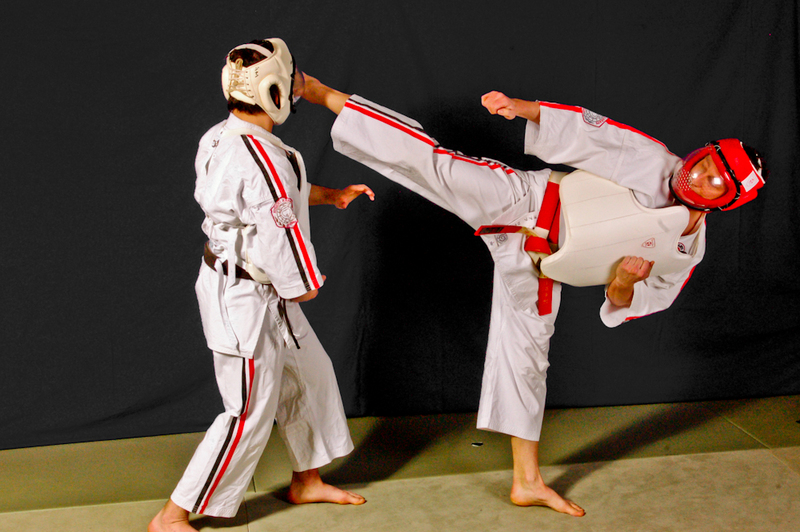 Physically, Karatedo develops strength, flexibility, health and coordination. Mentally, patience and self confidence, balance and positive attitude are the results of constant effort and endeavour. Main Instructors are Kyoshi Olaf Lotze-Leoni 7.Dan, Shihan Sandra Leoni 4.Dan and Shihan Jan Kittel 4.Dan.